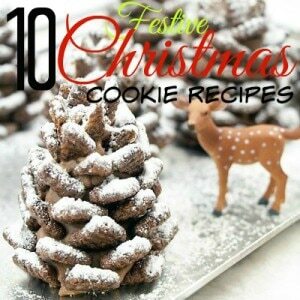 10 Festive Christmas Cookie Recipes | Home. Made. Interest. The holidays are in full swing! 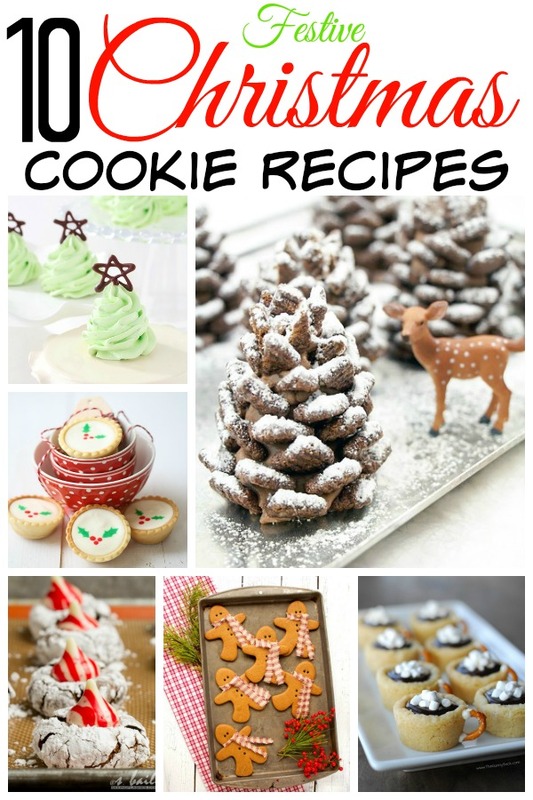 I have found 10 Festive Christmas Cookie Recipes that will make any holiday party, cookie exchange or gift basket stand out. These are not your standard Christmas cookies. I prefer the not so typical cookie for the holidays. Don’t get me wrong the beautifully decorated sugar cookies are nice to look at, they don’t have much variety in taste. I like to mix it up for the holidays and serve eye catching cookies that taste amazing, and I always remember to make extra for teacher’s gifts and gift baskets for the family also. 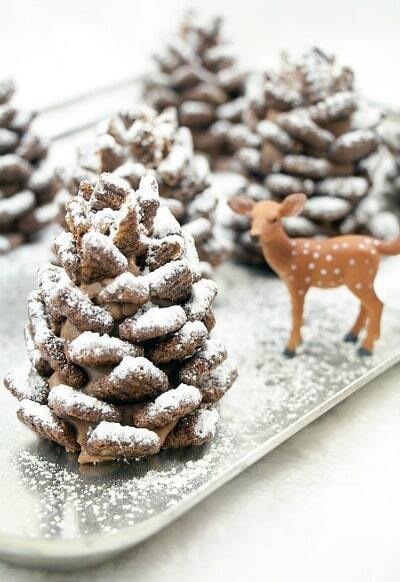 How cute are these no-bake, quick and easy Snowy Chocolate Pinecones? The kids can even help with these. Can you say edible table decorations!! Use this to get the whole look complete. I love how Julie incorporated a holiday favorite into cookies. Eggnog isn’t just for drinking! 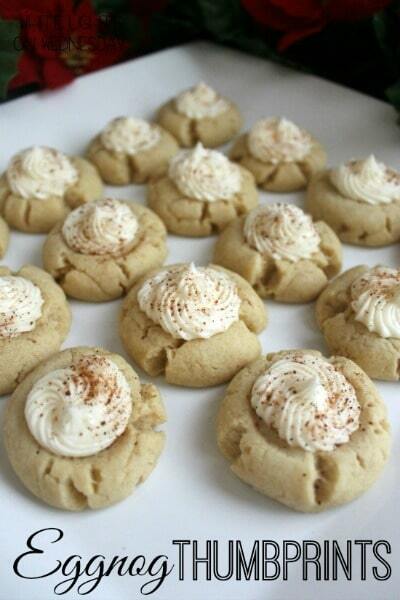 These easy to make Eggnog Thumbprint cookies are SO yummy and full of holiday cheer. She too is a lover of her Silpat mat. I have an obsession with anything pecan so of course I had to add these Brown Sugar Pecan Cookies. How can you resist brown sugar frosting! I’ll be honest, I’m not sure I can be trusted around a bag of pecans. For perfect shaped cookies use this. 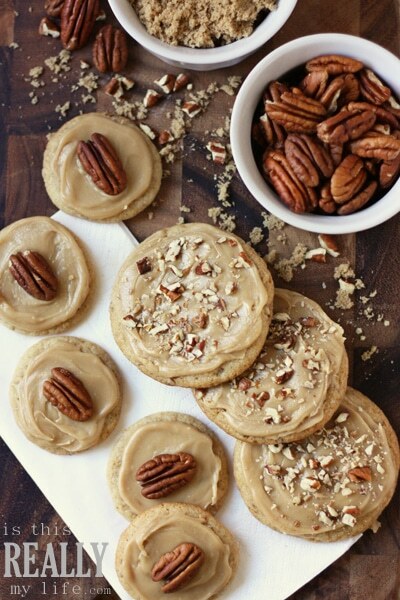 This recipe inspired us to make Frosted Cashew Cookies for the holidays. 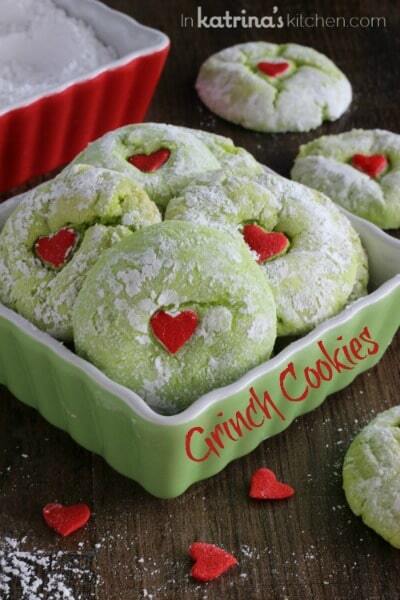 Besides being super cute, these Grinch Cookies are made with cake mix, SCORE! You can whip these up in no time for a quick festive treat. You’ll need these to complete the look. Cheesecake Cookies! Take 2 traditional desserts and turn them into one. These have a strawberry surprise inside, yum! This is the key to that perfect fluted edge. Remember when I said I like to serve eye-catching desserts. This is what I’m talking about! Leave your guests speechless. 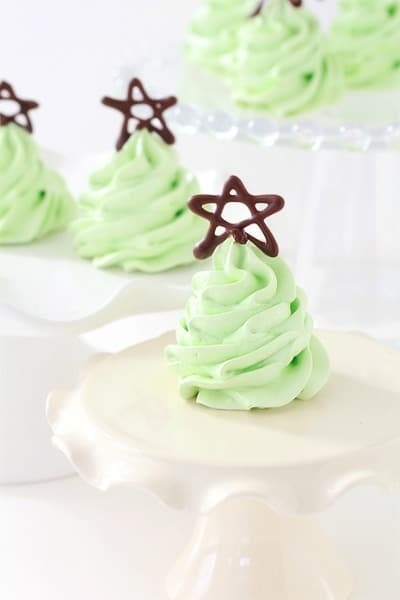 These Christmas Tree Meringue Cookies are too pretty to eat. Easy to make using some basic baking items, disposable pastry bag, large star tip, baking mat and squeeze bottle. 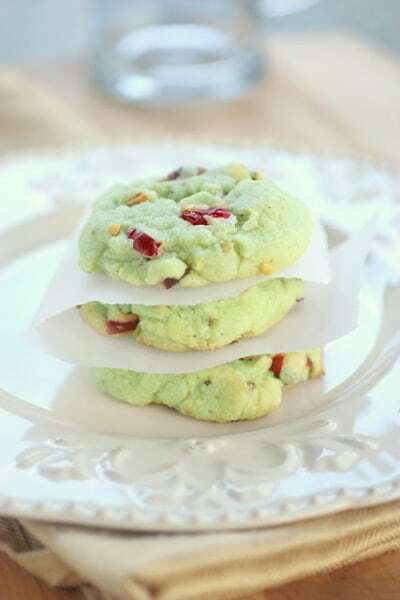 Here’s some festive green and red Cran-Pistachio Cookies, perfect for a Christmas cookie plate. Bonus, they are made with a pre-made sugar cookie mix. Perfect cookies with this. We made our own version here and they were a hit at our holiday cookie swap party. 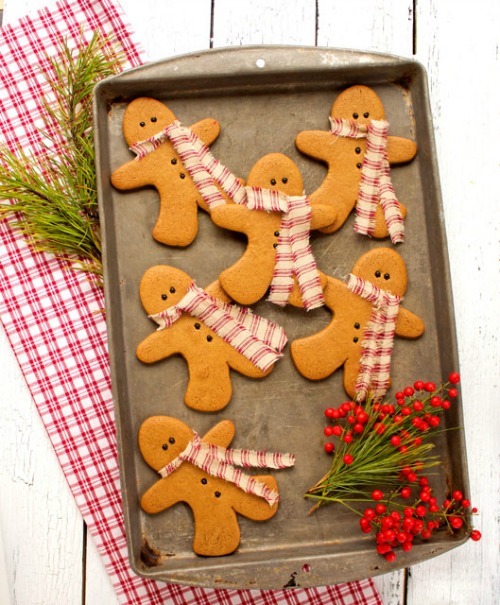 Simple goes a long way with these Gingerbread Men Cookies. Adding non-edible decorations is so fun! Don’t forget your cookie cutter. Well hello cuteness! 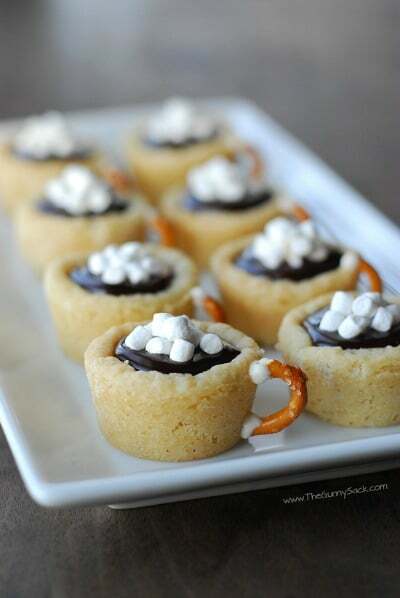 Wouldn’t these Hot Chocolate Cookie Cups be perfect alongside a hot cocoa bar? As you know from my s’more cups and chocolate peanut butter cups I love using my tamper to make mini cups for just about anything! The holidays wouldn’t be complete without having something peppermint flavored. 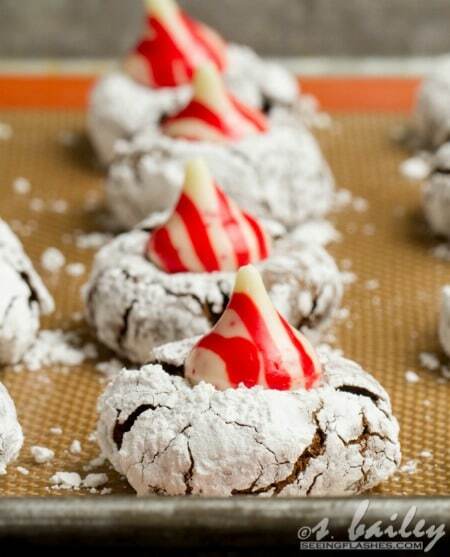 Love the color contrast of these Peppermint Blossom Crinkle Cookies. These are sure to stand out on any holiday table. We made some Soft and Chewy Peppermint Mocha Cookies after seeing this recipe. 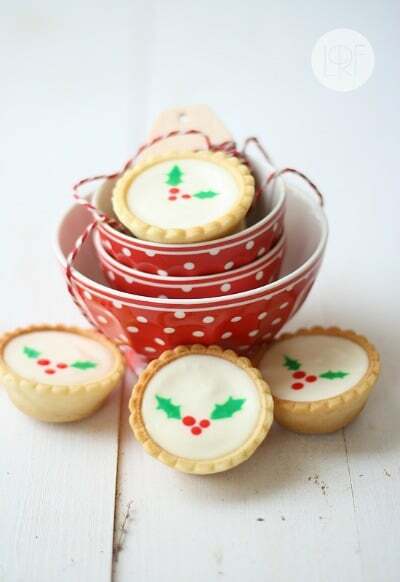 For more Christmas dessert ideas, check out our Pinterest board. Share your holiday baking pictures with us on our Facebook page. Perfect round-up!! I’ve been trying to find some good cookie recipes to bake for friends this holiday season, and these are just the ticket! 🙂 Pinned! These cookie ideas are so fun! They definitely go a step beyond your typical Christmas cookies. Thanks for sharing! This is such a cool collection of cookies. I have pinned them because they look so unique, like the pecan cookie recipe. Great round up. Love the look of those egg nog thumb print cookies. These all look so yummy! Thanks for sharing on Show Me Saturday! These are absolutely adorable! I love those pinecones! Thanks for sharing them with us at Foodie Fridays! I hope you had a wonderful holiday!